In 2011, Community Forests International (CFI) began implementing an action supported by the Global Climate Change Alliance (GCCA) in Tanzania titled the Resilient Landscapes for Resilient Communities (RLRC) project. Through the initiative 5 vulnerable Pemban villages piloted a number of integrated climate change adaptation activities including: forest restoration; diversified agriculture; community land tenure; charcoal substitutes; rainwater harvesting; sustainable building; and alternative energy generation. 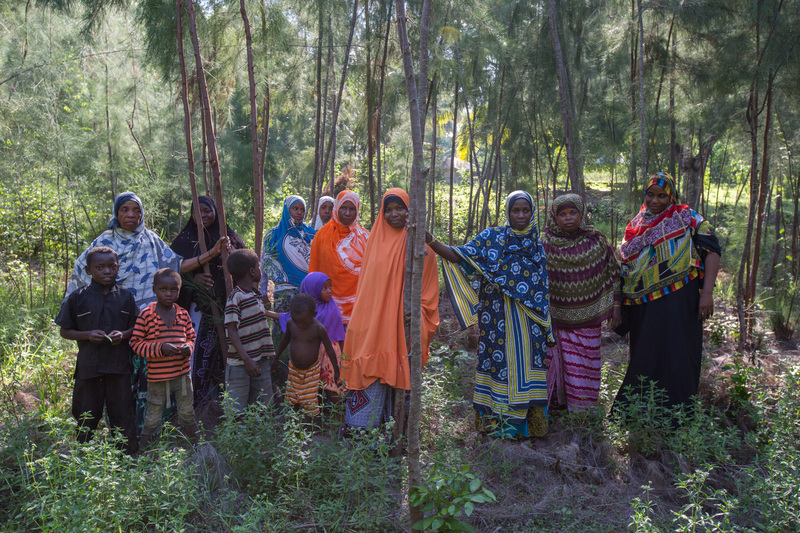 Four years on, the lead communities are now emerging as regional models of climate change resilience and CFI is working to scale up the approach to 18 additional communities throughout Pemba. The organization is also working to share sucessful climate change adaptation innovations regionally and internationally through a newly establsihed Rural Innovation Campus. The Scalable Resilience project is designed to incentivize adaptation by pairing new livelihood opportunities with innovative adaptation technologies and enterprises. The key stakeholder groups are women, rural farmers and regional and national government institutions. CFI’s newly established Rural Innovation Campus located on Pemba Island is designed to serve the needs of these stakeholders and foster peer-to-peer innovation and sharing of successful climate change adaptation measures. Specific objectives include: 1) implement 12 adaptive and appropriate technologies; 2) build capacity for community-led adaptation action and innovation; 3) engage all levels of society including government in project activities; and 4) disseminate scalable solutions regionally, nationally, and internationally. CFI has piloted several low-cost, gender-oriented appropriate technology activities including: Agroforestry; Afforestation and Reforestation; Rainwater Harvesting; Charcoal Substitutes; Fuel Efficient Cook Stoves; Interlocking Compressed Stabilized Earth Block (ICSEB) Construction; Multi-strata Kitchen Gardens; Sustainable Beekeeping; and Renewable Energy Generation. These successful innovations will be replicated widely through the Scalable Resilience action. In addition, CFI will also pilot 3 new adaptive technologies including: Community-Based Catchment Conservation; Improved Charcoal Production System (ICPS); and Spice Forest Polyculture. CFI recognizes that building the adaptive capacity of vulnerable communities requires technical, economic, legal, social, and physical resource development. CFI will provide formal adaptation livelihood training sessions aligned with each appropriate technology activity described above. CFI will lead community-based natural resource management planning and legal land security activities to provide the social and legal frameworks necessary for communities to make long-term investments in adaptation. CFI maintains pre-existing partnerships with government institutions and will redouble engagement efforts with a focus on climate change mainstreaming including tailored technical workshops for government staff and strategic Memoranda of Understanding with government Ministries. The work reported in Pemba looks interesting. What is not included is any reference to the economic impact of the innovations, positive or negative. To achieve take off you must provide positive economic impact which is sustainable and sustained. Certainly - in other words we need to make adaptation a well paying day job. Your comment is very timely James. We're presenlty working to measure the economic impacts of these innovations at the household level. We have established a baseline and I will be sharing updates here as the project progresses. Thanks for commenting! Exploring the role of forests for the adaptation of people to climate change. This policy brief provides considerations for mainstreaming gender concerns into REDD+ and the forestry sector in Indonesia. Do you find REDD confusing, opaque, and obtuse? Do you wonder where it came from, and how it impacts indigenous people? Find out here. Scalable Resilience builds the adaptive capacity of small island communities while innovating and sharing scalable solutions to climate change. Diversification of the tree species grown in commercial forests is an important way to improve forest resilience. The suitability of alternate species can be assessed in forest gardens like Kilmun.